C.A.T.S. was founded in 1988. Every year, thousands of unwanted cats were killed in animal shelters, and a group of concerned people realised that the best way to stop this carnage was to prevent more kittens being born. However, some cat owners had little knowledge about the need for desexing, some couldn't afford it, and some kind souls regularly fed strays but couldn't afford to also get them desexed. So C.A.T.S. was launched to educate the community and assist with desexing. 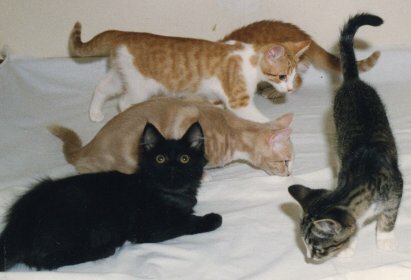 From its beginnings to the present (2011), over 100,000 cats have been desexed through the scheme. Imagine the number of kittens that haven't been born as a result!